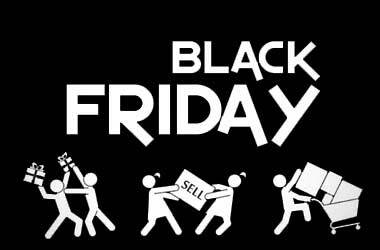 Black Friday is upon us. Hopefully your cash registers will be singing on Friday with rapid fire transactions. Along with an increase in transactions, we also see an increase in fraud and chargebacks this time of year. Having a stated refund policy can really help you win a chargeback. Many times people who don’t like the gift that was given to them return it for a cash refund. If you allow that without question then there would be no issue for you. However, if you have any stipulation about returning products such as, “In its original packaging”, “Within X days from that purchase date” or anything similar, now is the time to make sure that it is clearly stated. Having a return policy printed on cash register receipts, counter signs, your website and even on the walls of your store can help you beat a chargeback. Without making your return policy clearly known to your customers, you subject yourself to the final decision of the person processing your chargeback. If American Express decides that you don’t have a policy or your policy is ambiguous, they may decide in favor of their cardmember simply because you didn’t make your policy known. Take the time now to make sure your policies are clearly displayed and that all of your team members know exactly how to handle a return that involves issuing a credit on your customer’s credit card. You might even want to implement a policy that only managers, key employees and supervisors can issue a credit to make sure your policy is followed to the intention. Don’t get caught losing a chargeback simply because you didn’t have a written policy for handling returns.